Gradient is the new black! Or, at the very least, it seems to be on its way to become it. The first mass-produced smartphone to have a soft dual-tone finish was Huawei's P20 earlier this year. Then, Samsung released the Galaxy A9, OnePlus released the 6T and both of these are sporting some form of a gradient finish. Leaksters are often showing us manufacturers experimenting with a multi-colored finish as well, so it seems we might be seeing a lot of gradients in 2019. The Galaxy S10 is definitely expected to have at least one model with a soft-transition dual color on its back. 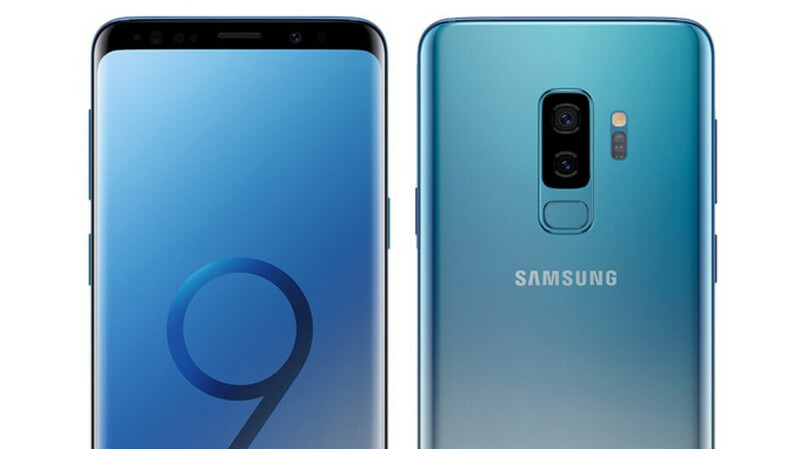 But it seems China is getting the option early — the Galaxy S9 and Galaxy S9+ are now available in a new Ice Blue color, which is a nice, chill blue-silver gradient. Will the rest of the world get the new color? Most probably not, at least history tells us so. Samsung often launches a cool new color about half a year after its flagship launch. However, it's very possible that the Galaxy S10 might get a similar color option, possibly even a couple of them. What do you think? Is 2019 going to be the year of the gradient? Not bad looks pretty nice. Changing the finish of GS9 in the drawers. Nice try though. No worries, boy. When Apple goes gradient it'll be revolutionary. Like multi task and widgets, it probably won't happen. Enjoy your toy, boy. That is actually pretty nice looking.